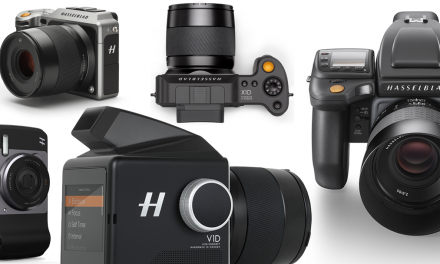 It makes sense for Fujifilm to have a medium format camera system, as there is space in the market for photographers to invest in a good quality system – and its also mirrorless which adds a few advantages to this system. 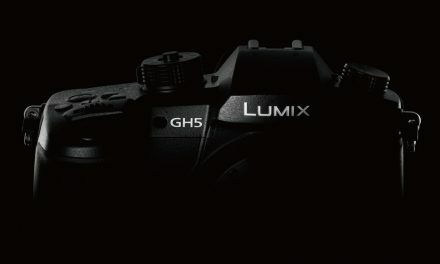 We hope you enjoy reading the Cambo Actus GFX Fuji GFX50s Camera review. The equipment we used in the test was; Cambo Actus GFX, Fuji GFX50s body, Cambo Actar 60mm lens with standard bellows and Genesis tripod. Do you require a product video or advertising space? If so contact us and to receive further information. If you prefer to read about the review the text below is from the video commentary. When mounting the camera to a tripod there is a choice of attaching the rail as this is Arca Swiss compatible, there are several ball heads available with this fitting. Or you can screw the camera rail direct to a tripod with 1/4” or 3/8” thread. The Actus GFX comes complete with the Fuji GFX camera mount. This mount is a new type that can be quickly swapped out by releasing the locking lever. As the GFX50s is mirrorless it will focus with lenses wider than 60mm. DSLRs cannot do this due to the mirror box, the rear element is too far from the sensor. Once the camera is fitted you can change the camera from horizontal to vertical position by simply flicking the lever on the left side, there is a positive click when the camera has completely turned. The lens is fitted at the front into a location stop and locked into place using the lever on the left of the camera. There are many lens mount options available, the one we are using today is a Copal 0 style, the Actar 60mm lens is permanently fitted into this mount. Fitting the bellows is a simple process. There is a locating pin which clicks into the rear of lens mount and a magnetic plate fixes to the camera plate. You will find two types of movements on the front standard; Tilt and Swing. There is a total of 19º Tilt, +10º and -9º. Although the Swing rotates 360º, sensibly 10º Swing right and 10º Swing left. Check out my previous video to discover why the Front rotates a full 360º. On the rear standard there is Rise and Fall (also known as Vertical Shift) +12mm and -15mm. Horizontal Shift 20mm left and 20mm right. The amount of rear shift movement enables us to capture more from the lens image circle. We’ll talk more about this later. The Fuji GFX50s is an electronic camera and when you take off the lens the camera body will not fire. There is a setting to override this enabling you to use a technical camera platform such as the Actus GFX. 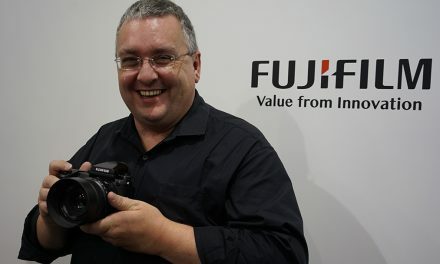 In the Fuji menu go to Menu>Setup>Button Dial Setting > Shoot without Lens> Select ON to enable the shutter release. Now you can use GFX50s on the Actus GFX. Before shooting its important to find the lens infinity point. To do this turn the focus knob so that the arrow aligns to the infinity symbol and lock this focus movement. Then move the complete rear standard until you see the horizon image displayed by the camera pull into focus. Now you must lock up this full rear standard movement and unlock the focus knob. Your focus scale is now set for this lens and will stop at infinity. Now zero the camera, by resetting the swing, tilt and shift movements back to the zero position. You now have the default and this will be your starting point. We have already set the infinity point of the lens. To focus the camera I chose to use the “Red” peaking effect from the menu in the GFX50s. This is particularly useful when using the screen display and makes it easier to find the focus point. Remember though peaking works by calculating the contrast so you are reliant on how much light can be read by the sensor. You will notice a black flashing area in the sky, this shows that the highlights are blown out. We have the option to capture an image “as is” (without any movements applied) producing a RAW uncompressed file. The ratio is 4:3, measuring 4000 x 3000 and 8256x6192 (51.4MP) This is the maximum resolution this camera can produce and if necessary we can always reduce the image later within our Photoshop workflow presets. Its handy to have the option to capture a JPG at the same time so you can quickly flick through the images and also deliver on-screen shots for your client or for catalogue page inserts. 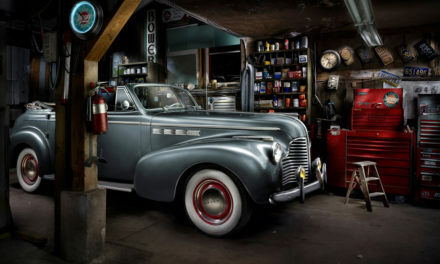 Capturing a single image in a studio environment with tilt or swing applied would show the advantage of using a technical camera. We’ll show this in another video blog soon. However for this exercise we are going to shoot multiple images and stitch them together. This will require additional work at the capture stage and also when stitching at the post production stage. Once you have used a technical camera and created panoramas the whole process becomes second nature. Every photographic lens produces an image circle, this will determine how much movement and shift can be applied. In our example we will use the vertical and horizontal shift to produce the panorama. Three horizontal shots for a nice wide panorama and nine shots for the maximum capture area. The Actar 60mm lens has an image circle of 75mm, if you shift beyond the circle you will get cut off at the edges. I tend to go beyond the image circle and crop to print size in post production. Again, after you’ve done this a few times you can work out your own capture process. From previous experience, when I shot with the Sony A7R and shifted 19mm left and right. In the video above you’ll see I’m pushing it to 23mm and then I’ll crop for print later. The GFX50s sensor size is 43.8 x 32.9mm we’ll round this up to 44x33mm. If the image circle is 75mm and the long edge of the sensor is 44mm we’re capturing approx 1.7x the sensor size. 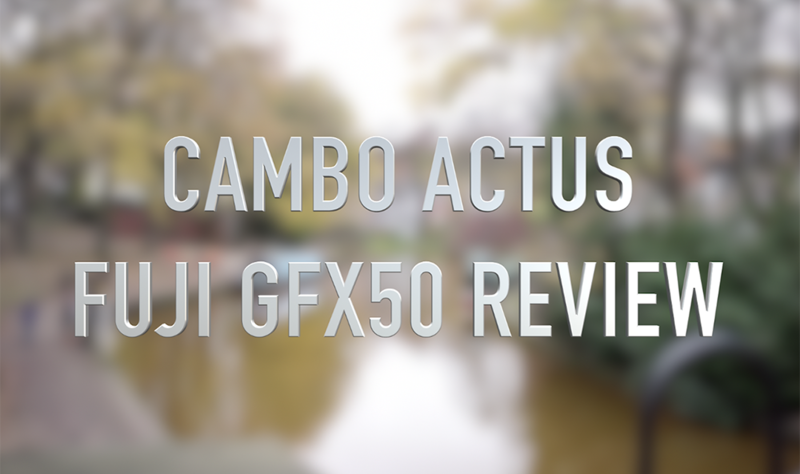 We hope you enjoy reading the Cambo Actus GFX Fuji GFX50s Camera review. The final results will be posted here shortly with an overview of the image processing and workflow.